MongoDB 2.4 introduced a feature that many have requested for some time - the ability to create a capped array. In MongoDB 2.4, we combined these two operations to maintain a limit for arrays sorted by a specific field. Mongo maintains the array in natural order and trims the array to 5 elements. It is possible to specify to slice from the start of the array or the end of the array by using positive or negative integers with $slice. It is also possible to sort ascending or descending by passing $sort also. This helps avoid unbounded document growth, and allows for the event system to guarantee in-order delivery. This feature is available in MongoDB 2.4, but there are many extensions requested, such as full $sort and $slice semantics in $push (SERVER-8069), and making the $slice operation optional (SERVER-8746). Both of these are planned for the 2.5 development series. Special thanks to Yuri Finkelstein from eBay who was very enthusiastic about this feature and inspired this blog post. This summer, I worked on developing the Meta Driver project, an effort to re-work the drivers documentation, creating an implementable specification of driver functionality that could be applied to different drivers in different languages. Part of MongoDB’s appeal to developers is its ease of use. One important way in which MongoDB provides a good user experience for developers is its ecosystem of drivers - bindings for interacting with the database in a variety of languages, with one for each (major) language. Whereas many other databases force developers to construct queries and database commands using a specific query language, MongoDB’s drivers allow for smooth, idiomatic interaction with the database. Drivers must balance conflicting goals: on the one hand, they should allow developers to write code naturally in the language of their choice; on the other, drivers should strive to provide a relatively consistent experience across languages, to minimize the difficulty of switching between MongoDB-oriented development in different languages. Because of the language-dependence of providing a natural developer experience, as well as the drivers’ varying authorship (many originated as, or still are, community-supported projects) MongoDB’s drivers embody a wide variety of design decisions regarding these and other tradeoffs. This, coupled with the lack of a fully clear specification of driver functionality, makes it difficult to create or maintain drivers - in cases where the current spec falls short, it is hard to know which other driver to look to as an example. The Meta Driver is part of a solution to this issue. It creates an implementable specification of driver functionality, as well as creating a reference driver implementation, following the principles of Behavior-Driven Development, to demonstrate a driver meeting the specification. While this project alone is not a complete answer to the problem of inconsistencies within the driver ecosystem, it provides a useful framework around which to begin the process of standardization, as well as the basis of a single, unified driver documentation. In order to achieve these goals, an emphasis on improving the quality and consistency of driver documentation and on more hands-on management of drivers by 10gen itself will be necessary, among other things. Behavior-Driven Development is a development methodology that emphasizes the creation and maintenance of useful documentation. Its principles and techniques help make the Meta Driver possible. BDD has its roots in the Agile community; particularly, in Test-Driven Development (TDD). Under TDD, a developer first writes tests describing the functionality she wants her code to implement, then writes the minimum amount of useful code that will make the tests pass. As a discipline, TDD can be a useful defense against over-architecting code at the beginning, and also leads to the creation of a comprehensive testing framework that (at least ideally) completely describes the code’s functionality, making the code much easier to maintain. BDD builds on this methodology, taking it a step further. Rather than beginning with writing tests, the Behavior-Driven developer begins by writing a human-readable specification of the behaviors her code should implement. These specifications do not have arbitrary structure; they are written in a format (generally, a simple specification language called Gherkin) that computers can parse as well. Thus, the specifications form a common ground between human and machine understanding of the specified software. In fact, Gherkin’s syntax is so natural that it can be read by non-technical stakeholders in a project, enabling the creation of a common language shared by everyone involved, minimizing the possibility for misunderstanding or ambiguity. The specification is oriented around user-stories, describing various scenarios of interaction with the software, and the behavior the software should exhibit in each scenario. Next, BDD translates the written specifications into tests run against the code. This is done by writing a series of step definitions that map each step of each scenario to code implementing the step. Once these are written, the developer proceeds just as with TDD, hacking until the tests pass. The difference is that, rather than just a series of tests, the developer has a human-readable specification for her code, and a guarantee that the specification is met. This helps to solve a difficult problem in software engineering: keeping documentation current as the documented codebase changes. If documentation has behavior specifications at its core, it will always be current. BDD serves to keep code and documentation “honest”: if the two do not match, the tests will not pass, and the developer will know where the problem is. The specifications for a project in BDD are contained in .feature files, which describe scenarios, each with a series of steps, as described above. Here is a simple example. These files are placed in the features directory (default location) at the root of the project being specified. The step definitions are placed in features/support. These are written in the language of the code the specifications are being run against (in this case, .rb files). Below are the step definitions implementing the steps making up the feature excerpt shown above. Cucumber matches the provided regular expressions against lines in the .feature file, using matching groups (surrounded by parentheses) to extract arguments that are then passed in to the provided code blocks. In this way, steps can be made flexible, able to accept a variety of different arguments and thus able to model a wider range of use-cases. BDD can play a particularly useful role in helping to define and standardize driver behavior across languages. Since the Gherkin specifications of driver functionality are language-independent, they can serve as a common reference for all drivers, and be directly implemented as tests on each driver. In this way, drivers can be held to a common set of functionality. In practice, this approach can lead to some complications. The specifications must be written with an eye toward being independent of the special quirks and needs of each language. Otherwise, overly-complex step definitions would be required, in order to “hack around” the shorcomings of the specifications; this would obscure the direct relationship between the feature-files and the tests to which feature scenarios correspond, limiting the specification’s usefulness. As the specifications are linked to an ever-widening array of drivers and languages, they will likely have to be revised, to take into account any new language-dependencies we discover in the process. Slight differences between the specifications used in different languages may need to be introduced, if languages have differences that cannot be reconciled at the feature-spec level. We hope to keep these differences to a minimum, if they are needed at all; so far, they have not been. So far, I have specified a new BSON implementation for Ruby (the code for which - but not the Cucumber spec - can be found here). Building on this implementation, I have implemented and specified the MongoDB wire protocol, allowing the reference driver to communicate with a real MongoDB server. Finally, I implemented the beginnings of a CRUD API, enabling a user to issue insert, update, delete, and find commands to the database. I have also begun work on writing step definitions in Python to attach the specification to the PyMongo driver, as a first test-case for using the specification across programming-language lines, and on a pre-existing, production driver. So far I have implemented steps on PyMongo for BSON and the wire protocol. Though adjusting for differences in the driver APIs and the tools available for Ruby and Python caused some minor hitches. As we’d hoped, only small changes were needed in order to make the specifications work with PyMongo, and the changes can be back-ported to the Ruby driver, in order to keep the two consistent. This example tests a few simple cases of the general problem of BSON deserialization: deserializing single objects, wrapped in a BSON document with one field (the key for the field is ‘k’). This excerpt is a good example of how feature files can be constructed, beginning with simple cases of functionality and building up toward larger, more advanced ones (later in the same file, deserialization of larger, more complex, heterogeneous BSON objects are tested). For more examples, here is the feature file the above code is taken from; and here are the step definitions. The Meta Driver specification is ultimately designed to be integrated with a wide array of production drivers, in order to ensure that all conform to a common set of behaviors. In order to integrate the specifications with a new driver, step definitions in that driver’s language must be written that link the specification to calls against the driver code. While this is not an especially difficult task, it is nontrivial (differences between languages and between API designs for different drivers mean that the same steps must sometimes be implemented differently for different drivers). Ideally, the only difference between languages and drivers should be the step definitions; the feature files shared between them should be identical. In practice, some small differences may need to be tolerated, but they should be kept to an absolute minimum, since such differences reduce the usefulness of the Meta Driver by undermining its status as a single universal specification. Though the vast majority of work in “porting” the Meta Driver specification to other, production drivers has yet to be done, I have begun work on binding the specification to PyMongo, the production MongoDB Python driver. I chose Python because it is largely similar to Ruby in terms of the paradigms it supports, but is different enough to create challenges and expose whatever subtle dependencies on Ruby or the Ruby implementation might exist in the Meta Driver features. Binding the specification to the production Ruby driver would be less likely to reveal such problems (though support for the production Ruby driver is an eventual goal). So far, using the Behave implementation of Gherkin in Python, I have been able to get the BSON and wire-protocol features to run successfully on PyMongo, with only minimal changes to the specification (mostly, omitting some scenarios to compensate for functionality present in the reference driver’s API that are not supported by PyMongo; some of these can be worked around, and most of the ones that cannot are not very important). There are frameworks for many other programming languages available. The Cucumber wiki has a partial listing, although there are many others, including (for some languages) multiple implementations, with distinct strengths and weaknesses. For example, I chose Behave over Lettuce and Freshen (two other Python Gherkin implementations) because it was better maintained and appeared to have a cleaner API for defining steps. Choosing between different Gherkin/Cucumber implementations in the target language is another important part of the process of making that language’s driver work with the Meta Driver specification. Behavior-Driven Development is a useful way to create documentation for programs, encouraging the creation of docs that are both useful to humans and directly linked to the code they specify. Because of the polyglot nature of MongoDB drivers, and the importance of providing a consistent user experience for developers working with the drivers, BDD was an extremely good fit for the Meta Driver project. However, BDD has many other applications, across different products and different languages. Any project important enough to require accurate and up-to-date docs should consider incorporating BDD into its development methodology. While it is far from a “silver bullet” for documenting and testing code, it can streamline the process of doing both well, allowing developers to extend and maintain their code with confidence. We believe that there are many other opportinities to deploy BDD, across the 10gen/MongoDB codebase, and hope that this is just the beginning of 10gen embracing this methodology. A lot still remains to be done in achieving the goal of a general specification and testing across many drivers. The specification must be extended further, to more completely cover CRUD operations, as well as to support functionality for administrative commands, read preference, write concern, replica sets, and other more advanced but crucial features of MongoDB. At the same time, the specification will need to be applied to other drivers, in order to expand its reach and to learn more about the varying needs and characteristics of different drivers. The specifications will likely need to be revised during this process. It will also be important to document the process of attaching the Meta Driver specification to a new driver. Since I have only done this once (and there is still more work to do on PyMongo), I won’t be able to document this process very completely by the time I leave; it will likely have to be put together over time. I will also try to compile some of the best-practices for writing Cucumber specifications I discovered while working on the Meta Driver itself, to help out non-driver projects that want to make use of BDD. For information about the Cucumber platform, cukes.info, the Cucumber website, is an excellent resource, as is the Cucumber wiki. The wiki contains a listing of Cucumber/Gherkin implementations in various languages, though it is not a complete catalogue. The wiki also has a useful page on the Gherkin specification language. This project is completely open-source, and can be found in MongoDB’s github, here. The readme file in that repository contains some useful practical information for getting started using the Meta Driver, not covered here. I’d like to thank Mike Friedman, my mentor, as well as Gary Murakami, Tyler Brock, and the rest of the drivers team at 10gen for their help and support on this project. I’d also like to thank 10gen as a whole, for a wonderful summer internship! This is a guest post from Valeri Karpov, a MongoDB Hacker and co-founder of the Ascot Project. _If you’re interesting in learning about how to use MongoDB with Node.js, sign up for a free, introductory 7-week course on MongoDB and Node.js For more MEAN Stack wisdom, check out his blog at TheCodeBarbarian.com. Valeri originally coined the term MEAN Stack while writing for the MongoDB blog, and you can find that post here. This post was updated in January 2015 to include additional resources and updated links. Last Friday, 10gen announced the opening of our new EMEA Headquarters in Dublin City Center along with a new recruiting campaign aimed at bringing over 60 skilled jobs to Ireland in the next 3 years. Geometric processing as a field of study has many applications, and has resulted in lots of research, and powerful tools. Many modern web applications have location based components, and require a data storage engines capable of managing geometric information. Typically this requires the introduction of an additional storage engine into your infrastructure, which can be a time consuming and expensive operation. MongoDB has a set of geometric storage and search features. The MongoDB 2.4 release brought several improvements to MongoDB’s existing geo capabilities and the introduction of the 2dsphere index. The primary conceptual difference (though there are also many functional differences) between the 2d and 2dsphere indexes, is the type of coordinate system that they consider. Planar coordinate systems are useful for certain applications, and can serve as a simplifying approximation of spherical coordinates. As you consider larger geometries, or consider geometries near the meridians and poles however, the requirement to use proper spherical coordinates becomes important. In addition to this major conceptional difference, there are also significant functional differences, which are outlined in some depth in the Geospatial Indexes and Queries section of the MongoDB documentation. This post will discuss the new features that have been added in the 2.4 release. Unlike the 2d index, which only allowed the storage of points, the 2dsphere index allows the storage and querying of points, lines, and polygons. To support the storage of different geometries, instead of introducing a proprietary format, MongoDB conforms to the GeoJSON standard. GeoJSON is a collaborative community project that produced a specification for encoding entities in JSON. It has garnered significant support, including the OpenLayers project, PostGIS, and has growing language support for python and ruby. 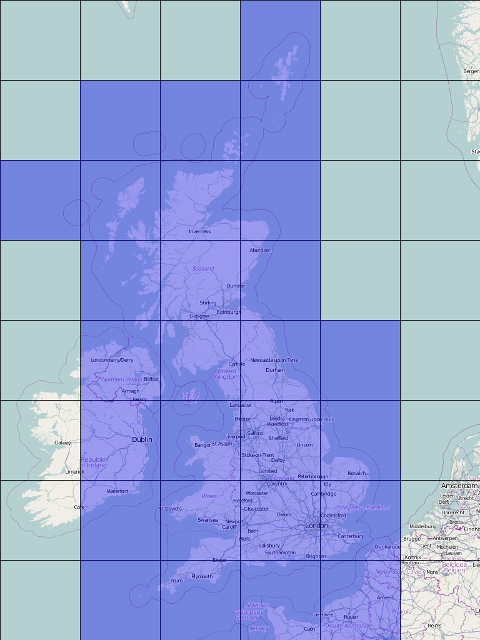 Note: A GeoJSON Polygon’s coordinates are an array of arrays of point specifications. Each array of point specifications should have the same starting and ending point to form a closed loop. The first array of point specifications defines the polygon’s exterior geometry, and each subsequent array of point specifications defines a “hole” in the polygon. Polygons should be non self-intersecting, and holes should be fully contained by the polygon. The new $geoWithin operator, which takes a Polygon geometry as a specifier, returns any geometries of any type that are fully contained within the polygon. It will work well without any index, but must look at every document in the collection to do so. The new $geoIntersects operator, which takes any geometry as a specifier, returns any geometries that have a non-empty intersection with the specifier. $geoIntersects also works well without an index, and must also look at each document in the collection. The 2d index can only be used in a compound index if 1. it is the first field, 2. there are exactly two fields in the compound index, and 3. if the second field isn’t a 2d index. 2dsphere indexes aren’t limited in this way, which allows us to pre-filter based on a non-geo field - which is often more efficient. The first query will be much more efficient than the second, because business_type is a simple text field, and greatly reduces the set of geometries to search. Additionally, we can have multiple 2dsphere indexes in the same compound index. This allows queries like: “Find routes with a start location within 50 miles from JFK, and an end location within 100 miles of YYC”. Everything starts when you insert a geometry into a 2dsphere index. We use the open source s2 C++ library from google to select a minimal set of cells that fully cover a geometry. This set of grid cells is called a covering, and the size of the cells is dynamic (between 500m and 100km on a side) based upon the size of the polygon being covered. 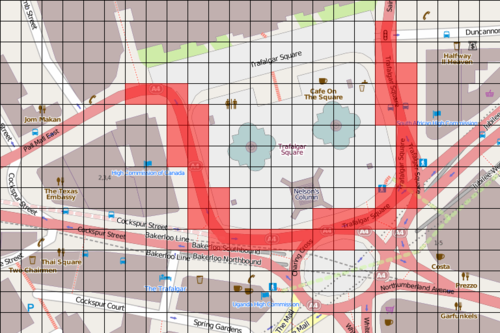 fig 4 - A fairly granular covering of the A4 around Trafalgar Square. Each cell in these coverings is now added to a standard B-tree index, with a key that is easily calculable by the location on surface of the sphere - more granular(smaller) cells will have the same prefix as a larger cell that occupies the same area of the surface of the sphere. Finding geometries that may be intersecting or within a search polygon becomes as easy as generating a covering for the search specifier, and for each cell in that covering, query the B-tree for any geometries that interact with these cells. Once the list of possibly interacting geometries has been retrieved from the index, each geometry in checked in turn to see if it should be included in the result set. The near search provided by the $near operator is implemented by doing $within searches on concentrically growing donuts (circular polygons with with circular holes). We encourage user feedback and testing on these new Geo features and are excited to see what the community builds. Map images ⓒ OpenStreetMap contributors, licensed under the Creative Commons Attribution-ShareAlike 2.0 license (CC-BY-SA). Map data ⓒ OpenStreetMap contributors, licensed under the Open Data Commons Open Database License (ODbL). January 2017 An updated post is available: Introducing the MEAN and MERN stacks. By Valeri Karpov, Kernel Tools engineer at MongoDB and and co-founder of the Ascot Project. A few weeks ago, a friend of mine asked me for help with PostgreSQL. As someone who’s been blissfully SQL-­free for a year, I was quite curious to find out why he wasn’t just using MongoDB instead. It turns out that he thinks MongoDB is too difficult to use for a quick weekend hack, and this couldn’t be farther from the truth. I just finished my second 24 hour hackathon using Mongo and NodeJS (the FinTech Hackathon co­sponsored by 10gen) and can confidently say that there is no reason to use anything else for your next hackathon or REST API hack. was used to. When I finally switched I was surprised to find that with MongoDB I could still write queries and build indices; the only difference is that the queries are written in JSON and query a flexible NoSQL database. As a NoSQL database, MongoDB also allows us to define our schema entirely on the code side. With an RDBMS you’re faced with the inescapable fact that the objects in your database are stored in a format that is unusable by your front­end and vice versa. This wastes precious time and mental energy when you inevitably run into a data issue or need to do some database administration. For example, if you change your ActiveRecord schema in Ruby on Rails, you have to run the “rake” command to make sure your SQL columns stay in sync with your schemas. This is a clear violation of the age­-old programming principle D.R.Y.­ (Don’t Repeat Yourself). In contrast, MongoDB doesn’t care what format the documents in your collections take (for the most part anyway). This means that you spend a lot less time worrying about schema migrations, because adding or removing data items from your schema doesn’t really require you to do anything on the database side. That’s it. Mongoose takes care of validating of the profile information, so we don’t have to change the POST /user.json route if we change the User schema, and there is no way the username field can be modified. We could do the same thing when using Ruby on Rails and ActiveRecord, but this would require having a separate Profile schema in a separate table, meaning that among other things we’d incur a performance penalty because of the extra underlying join operation. of this adds up to you spending more of your precious hackathon hours building the other cool aspects of your product and less time figuring out how your objects translate between different levels of the stack. By the way, MongoDB and MEAN are useful well beyond hackathons­ we use this approach for all of our commercial products, most recently The Ascot Project. Want to read more about the MEAN stack or how we use MongoDB? Check out my development blog. Check out the Ascot Project at the next MongoDB User Group in New York City. Note: while this blog post uses some Linux commands in its examples, mongoperf runs and is useful on just about all operating systems. mongoperf is a utility for checking disk i/o performance of a server independent of MongoDB. It performs simple timed random disk i/o’s. mmf:false mode is a completely generic random physical I/O test – there is effectively no MongoDB code involved. With mmf:true mode, the test is a benchmark of memory-mapped file based I/O. The code is not the MongoDB code but the actions are analogous. Thus this is a good baseline test of a system including the operating system virtual memory manager’s behavior. or grab a prebuilt binary here. Here’s an example of a test run with 32 threads performing random physical reads. Note that mongoperf gradually adds more threads so that you can see the difference in performance with more concurrency. 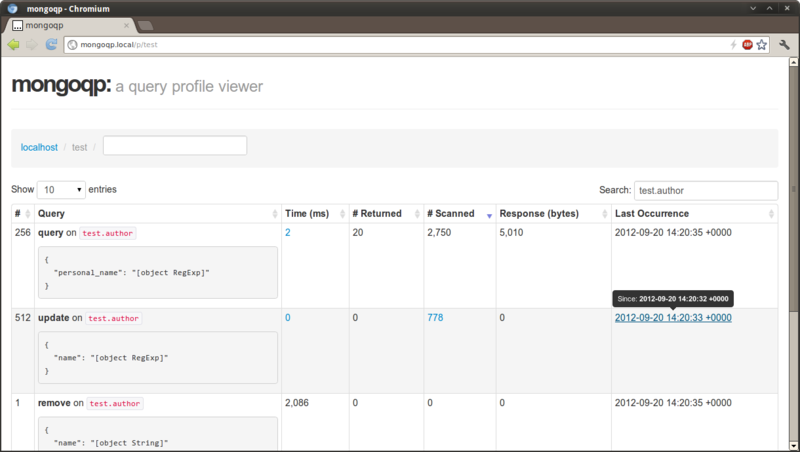 First, the read per second (“r/s”) numbers match our mongoperf results. Second, it’s clear that the “%util” column is fairly meaningless in this particular case – we were able to increase r/s even after %util hit 100. I assume this is because the %util value is a modeled value and the assumptions involved which don’t hold for this device. Third, note that if you multiply the r/s value by 4KB, you get the rMB/s value – so we are really doing 4KB reads in this case. The write result above seems slower than one would expect – this is an example where more investigation and analysis would then be appropriate, and an example of a case where running mongoperf might prove useful. The numbers start low as at the beginning of the reading the test file is not in the file system cache (in the Linux version of mongoperf anyway). Data faults into the cache quite quickly as the readahead for the volume is quite large. Once the entire file is in ram the number of accesses per second is quite high. We can look at the readahead settings for the device with “sudo blockdev –report”. Note that the value reported by this utility in the “RA” field the number of 512 byte sectors. Thus we are reading ahead about approximately 200KB apparently from each spindle on a physical random read I/O. We can also do load testing and simulations of writes via memory-mapped files (analogous to what MongoDB does in its storage engine) with mongoperf. Use mmf:true and w:true for this. MongoDB writes are written to the crash recovery log (journal) by mongod almost immediately, however the datafile writes can be deferred up to a minute. mongoperf simulates this behavior by fsync&apos;ing its test datafile once a minute. Since writes are only allowed to be lazy by that amount, even if the data written fits in RAM, it will be written to disk fairly soon (within a minute) – thus you may see a good amount of random write I/O when mongoperf is running even if the test datafile fits in RAM. This is one reason SSDs are often popular in MongoDB deployments. If our drive can write 1GB (the test datafile size) sequentially in less than a minute (not unusual), the test will likely report a very high sustained write rate, even after running more than a minute. However if we then make the file far larger than 1GB, you will likely see a significant slowdown in write speed as the background flushing of data >= 1 minute old will become a factor (at least on spinning disks). Note that mongoperf has some other options, see the –help option for more info. In particular you can run a test with concurrent reads and writes in the same test, and also you can specify the read and write rates to explicitly simulate a certain scenario you would like to test. Note that mongoperf is not MongoDB. mmf:false mode is testing physical disk i/o with no caching; because of caching MongoDB will usually perform vastly better than that. Additionally, mmf:true is not a perfect simulation of MongoDB. You might get superior performance in MongoDB than mongoperf indicates. Text search (SERVER-380) is one of the most requested features for MongoDB 10gen is working on an experimental text-search feature, to be released in v2.4, and we’re already seeing some talk in the community about the native implementation within the server. We view this as an important step towards fulfilling a community need. MongoDB text search is still in its infancy and we encourage you to try it out on your datasets. Many applications use both MongoDB and Solr/Lucene, but realize that there is still a feature gap. For some applications, the basic text search that we are introducing may be sufficient. As you get to know text search, you can determine when MongoDB has crossed the threshold for what you need. In this example, we will insert 3 documents into a collection, add in text indexes and then query for the word “Australian”. If you’re interested in organizing a project night for text search get in touch with the community team who can help you get set up. All you need is some computers and a few data sets and you’ll be ready to test. If you’re an architectural or engineering firm, you’ve undoubtedly confronted the difficulty of managing and collaborating on 3D assets like CAD drawings. The act of sharing massive files is hard but feasible, but it is significantly complicated by the inability to determine that you’re using the latest version. For the CAD-inclined, there’s hope. 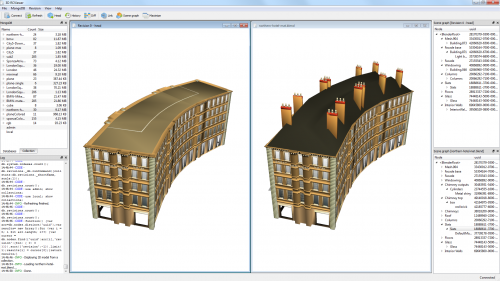 Jozef Dobos, a doctoral student at University College London (UCL), has applied the geospatial indexing capabilities of MongoDB a version control system for 3D assets called 3D Repo. Sponsored by Arup Foresight, the built environment innovation division of Arup Group Limited, a global design and business consulting firm with offices in over 30 countries, 3D Repo leverages the flexibility of MongoDB’s data model, not to mention its geospatial capabilities, to make collaboration on 3D assets easy. Whether an architectural firm or a product design company, collaboration on large (500GB+) 3D assets is a critical but difficult task, one not solved simply by sending links around to these assets. The maintenance of assets in a large 3D visualisation can involve authors that are numerous, geographically dispersed, and diverse in their skillsets and tools. This presents problems including, but not limited to, maintaining consistency of the models and dealing with concurrent edits in the same part of a 3D scene. For example, in the industry today, each user loads a particular 3D scene into a modeling tool, modifies it, and then re-saves the entire file again, making any version tracking and sharing unnecessarily unclear. By the time a simulation is completed, the design might progress so rapidly that the results are often inapplicable. Looking for a better way to collaborate on 3D files, Dobos developed a unified and integrated framework, called 3D Repo, that supports collaborative editing and distribution of 3D assets. Think of it like Subversion (SVN), but for 3D assets, not code. The 3D Repo framework tracks multiple revisions of 3D assets so that they can be integrated later on. It thus provides similar functionality to file-based revision control systems like SVN, but is built around MongoDB, thereby avoiding the constraints of a file-based system. The framework also supports distributed editing over the Internet and additional lightweight clients in web-browsers and mobile devices. Such an approach is expected to improve the engineering as well as public engagement and considerably reduce the costs of future industrial development. While there are other proprietary and open-source databases that support spatial data directly - e.g. Oracle Spatial and PostGIS for PostgreSQL - these alternatives focus on 2D geometry, not 3D models and their properties. They also do not support the type of revision histories that is commonly required in 3D asset management. MongoDB, on the other hand, avoids rigid data models and is optimized for large read-write operations. It is therefore possible to store 3D models in a database and, due to MongoDB’s schema flexibility, also track other associated data such as semantic relationships and even individual revisions, as is the case in 3D Repo. Basically, relational databases can in no way cut it. Rigid table structures are not suitable for highly diverse and large 3D data. In our case, a single 3D model or, better said, a “3D scene” is represented as a scene graph, where each node can be, and most of the time is, something different. It can be a node for a mesh, hence a large binary array, or a transformation, where transformation matrix is simply 16 numbers, or animation, bone, material, texture etc. Each of these is represented and stored differently. So key-value pairs are a match made in heaven for this type of data. In MongoDB, 3D Repo assigns two collections (tables) per 3D scene, one for all the scene graph constituents and one for all the documents that belong to a revision history. Hence, each of these collections stores a directed acyclic graph, making the access implementation reusable. Once the data is in a database, access is implicitly supported in a distributed manner via a dedicated query language. In order to offer a scalable visualization platform, 3D Repo streams decomposed scene graph components from MongoDB onto client devices, reconstructs their 3D representation and displays them for viewing. This explains why MongoDB is superior to an RDBMS like Oracle for this kind of application, but it doesn’t address the possibility that Dobos could have turned to another NoSQL database, and particularly a graph database, given that a scene graph is a directed acyclic graph. Surely this should be a fit for a graph database? Mostly simply stated, we don’t need any complicated graph traversal operations. We opted for MongoDB because of its efficiency with binary storage, BSON rather than ASCII (hence a clear winner over CouchDB, too), and due to its flexibility, not to mention its web-ready approach. MongoDB is proven to scale well, has sharding built-in and there is a thriving community to support it. Most of the design inspiration in our system actually comes from webinars by Wordnik and their experience. We are really grateful for those! In sum, MongoDB delivers the flexibility and 3D geospatial capabilities necessary to making 3D Repo a reality. The 3D Repo approach offers significant benefits over alternative techniques like geographic information systems (GIS), given the direct MongoDB database connection, the scalability of MongoDB, and its built-in support for geospatial indexing. In addition, MongoDB enables version control for 3D assets in a way impossible to proprietary or open-source RDBMS. Geographic information systems such as Oracle Spatial or PostGIS may be acceptable for 2D assets such as lines, but they cannot match MongoDB for representing 3D data efficiently and carrying metadata on top. Importantly, 3D Repo’s MongoDB-based solution can be extended to support various data types including building information modelling (BIM) or other representations. For more information on the research Dobos is doing on 3D Repo, please see “Revision Control Framework for 3D Assets” (PDF) or review his related research. Note: MongoDB does not currently support 3D geospatial indexing. Logging slow queries is essential for any database application, and MongoDB makes doing so relatively painless with its database profiler. Unfortunately, making sense of the system.profile collection and tying its contents back to your application requires a bit more effort. The heart of mongoqp (Mongo Query Profiler) is a bit of map/reduce JS that aggregates those queries by their BSON skeleton (i.e. keys preserved, but values removed). With queries reduced to their bare structure, any of their statistics can be aggregated, such as average query time, index scans, counts, etc. As a fan of Genghis, a single-file MongoDB admin app, I originally intended to contribute a new UI with the profiler results, but one night was not enough time to wrap my head around Backbone.js and develop the query aggregation. Instead, I whipped up a quick frontend using the Silex PHP micro-framework. But with the hack day deadline no longer looming, there should be plenty of time to get this functionality ported over to Genghis. Additionally, the map/reduce JS may also show up in Tyler Brock’s mongo-hacker shell enhancement package. While presenting mongoqp to my co-workers, I also learned about Dan Crosta’s professor, which already provides many of the features I hoped to implement, such as incremental data collection. 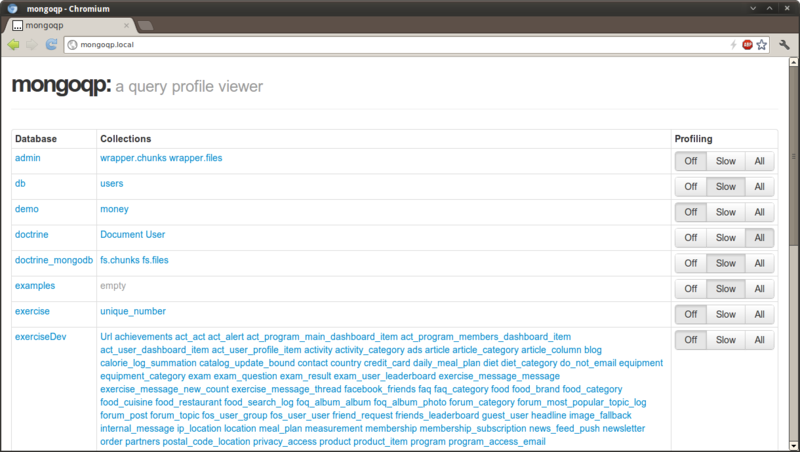 I think there is still a benefit to developing the JS innards of mongoqp and getting its functionality ported over to other projects, but I would definitely encourage you to check out professor if you’d like a stand-alone query profile viewer.